← Check out Christine’s Bicycle Basket Liner Addition! She added a tri-pouch pocket, a cupholder and a keychain! 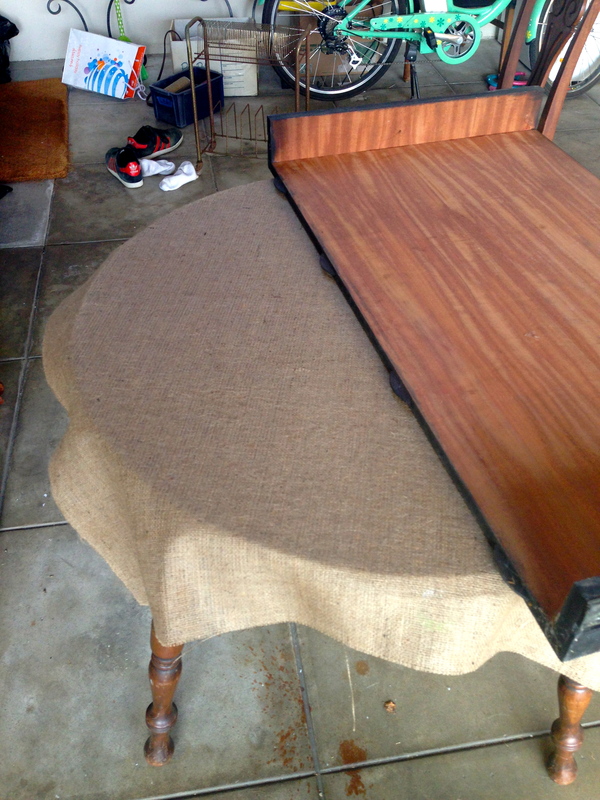 Found this laminate wood table at http://www.theestatesale.org for I think $25. 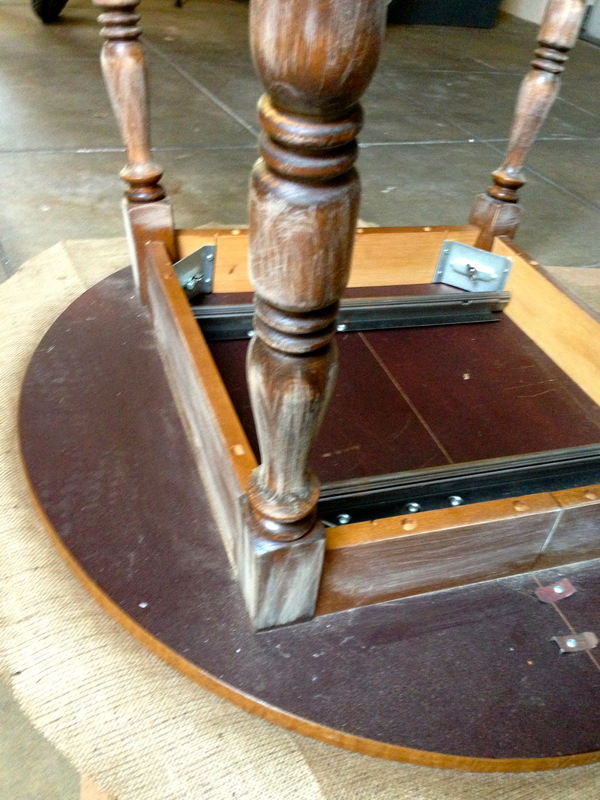 The top was ugly but the legs were real wood and pretty cool. I happened to use the “outdoor” version on mod podge. Really didn’t see a difference so you can use either. 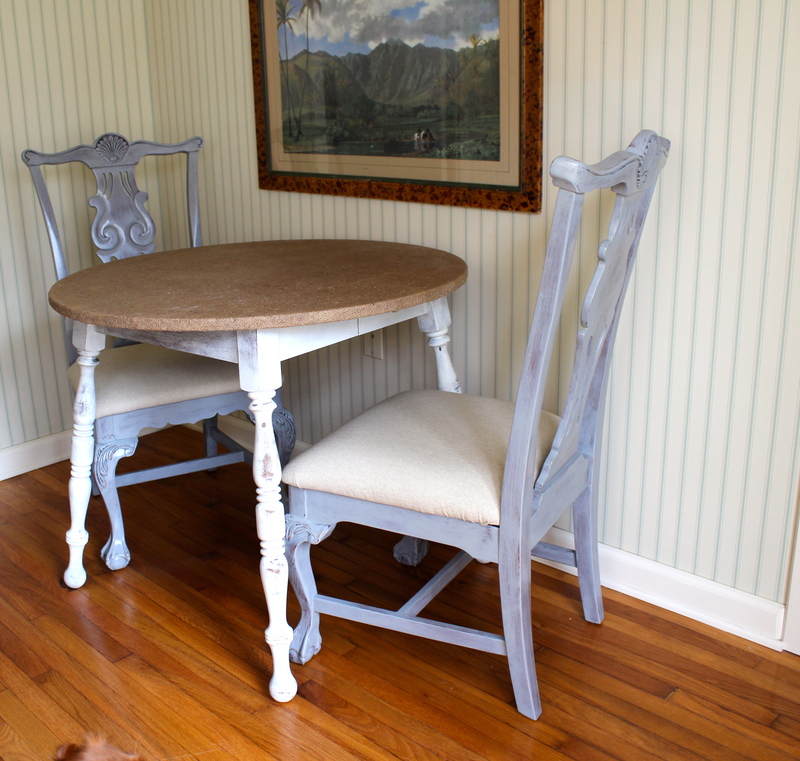 Next, place the fabric over the surface you coated with mod podge. 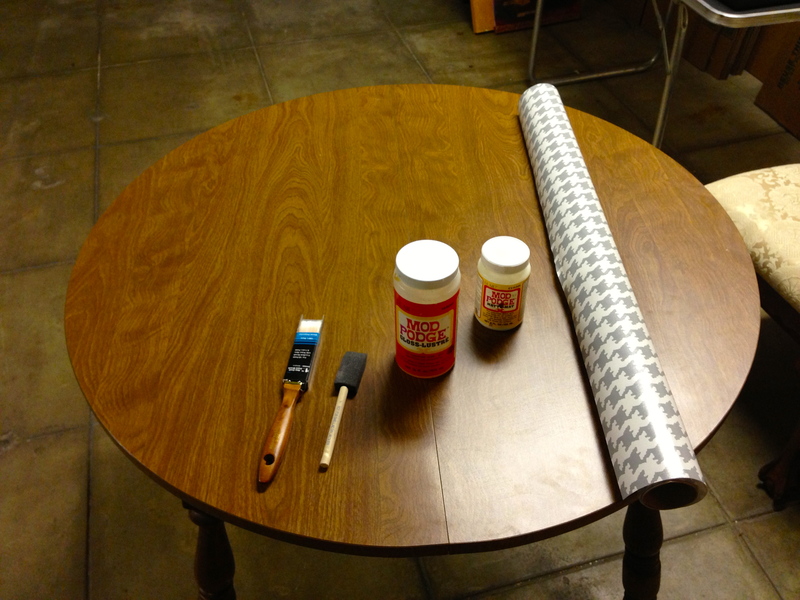 Smooth out the air bubbles with your hand or a rolling pin. 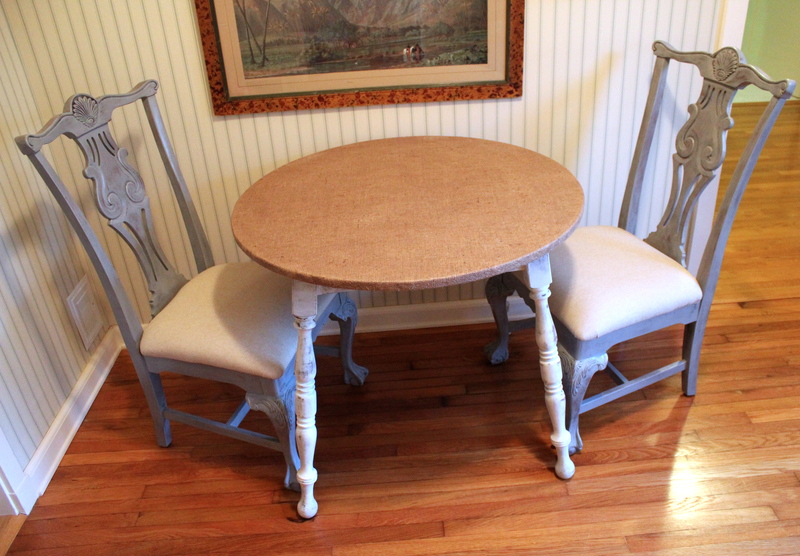 Lastly, coat the fabric with another coat of mod podge to seal it. Once it was finished drying I turned it upside-down to finish off the edges. Also, used this opportunity to paint the legs. I used scissors to cut the excess fabric after I staple gunned the fabric to the table to secure it. 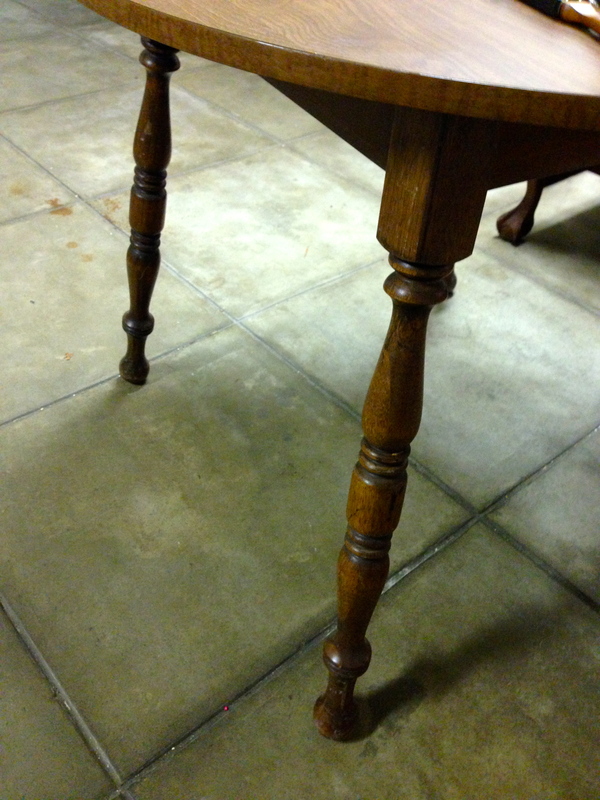 I sanded the table legs and then white washed them (3 quarters paint and 1 quarter water). 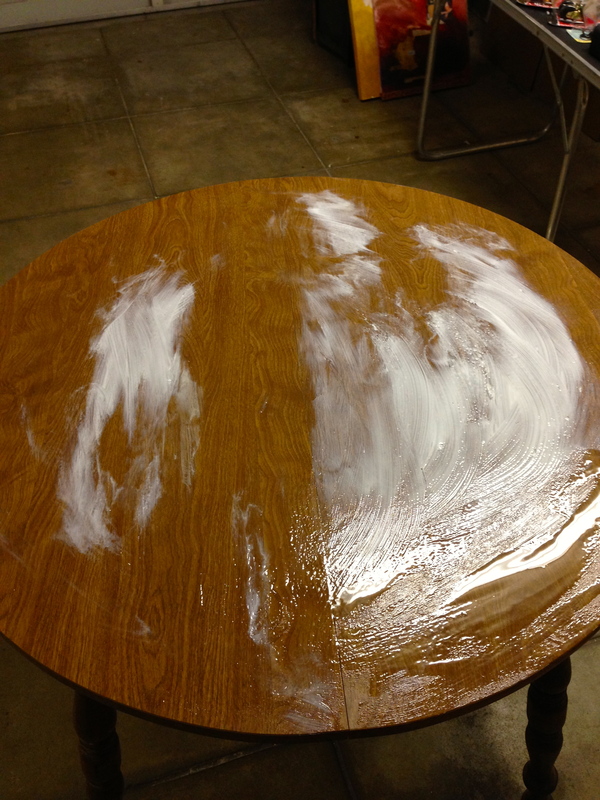 Then waxed them with Johnson furniture wax. Great transformation. I also love the chairs! Thank you! 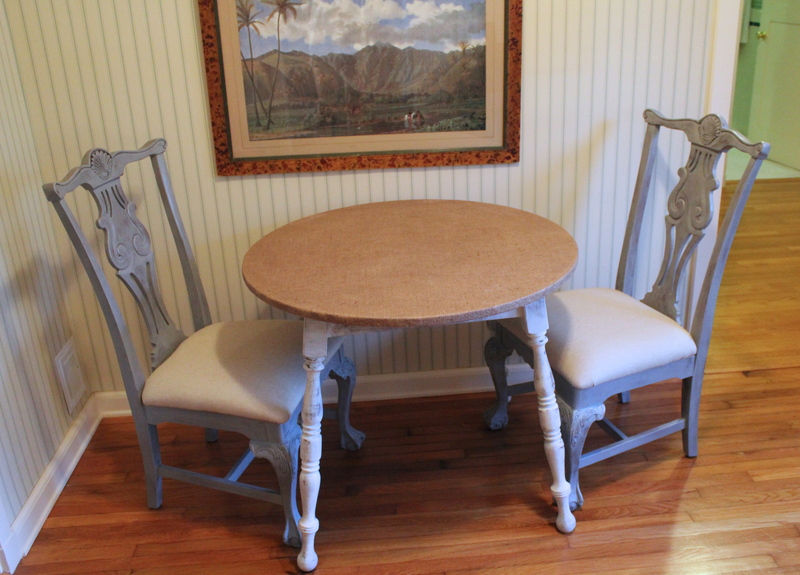 I’m going to post a before and after of the chairs too! Cute dog! Is that a ruby cavalier king charles spaniel? Yes, GOOD EYE! She is a little over a year old and her name is Stella. She’s my best friend and shadow! Hi, I just saw your table project. 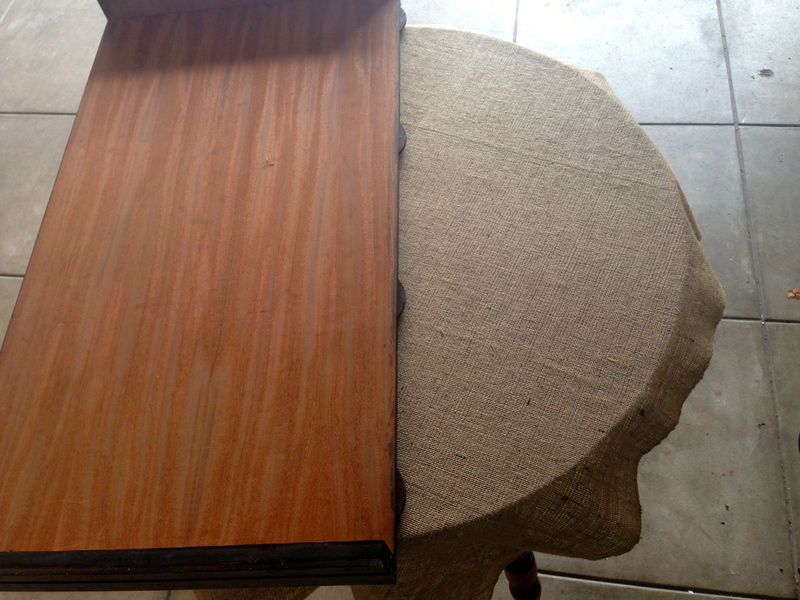 I am hoping to adhere some chevron burlap inside of an old ugly side table to make it into a pet bed. So there will be a lot of burlap gluing going on. 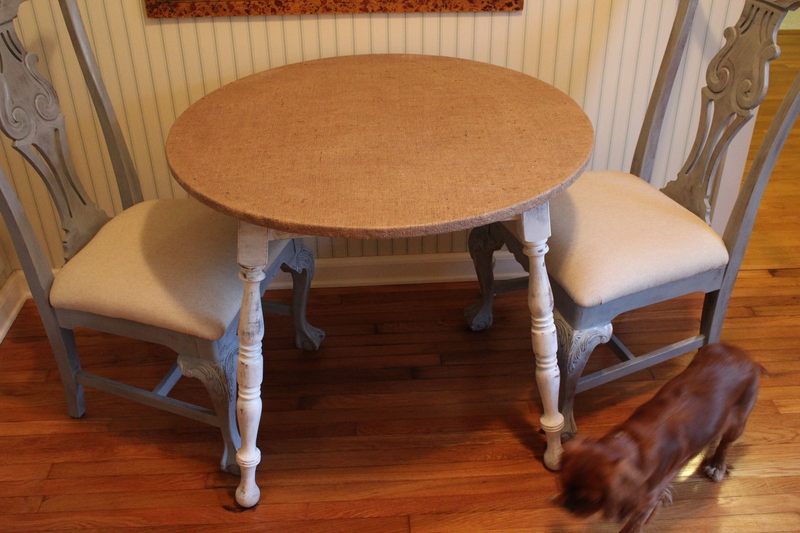 Since you stapled the burlap under the table your burlap is probably not moving much, but is it still sticking to the table well? 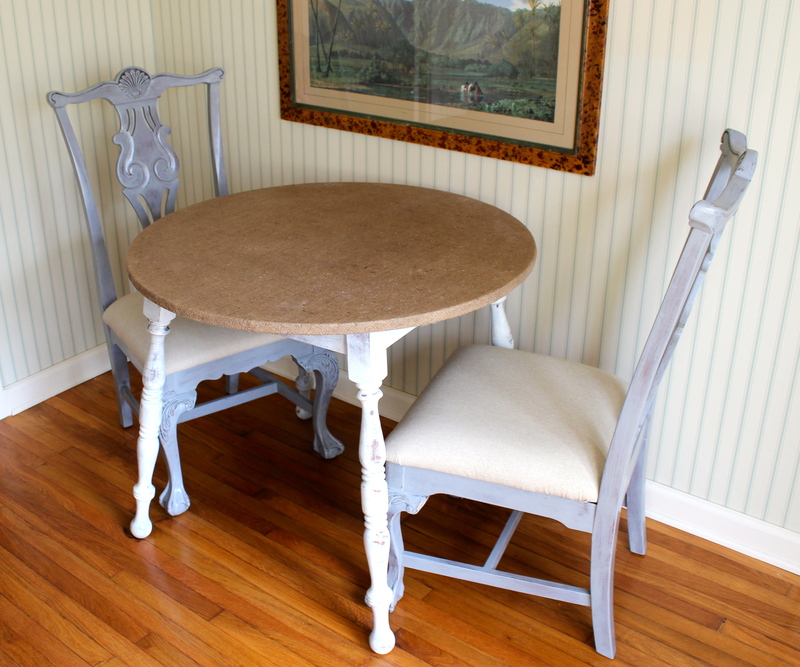 How did you apply the mod podge over the burlap, seems it could be tricky to apply it over the rough texture. Is there anything you wish you had done differently? Thanks, great looking projects. Sounds like a really cute project! 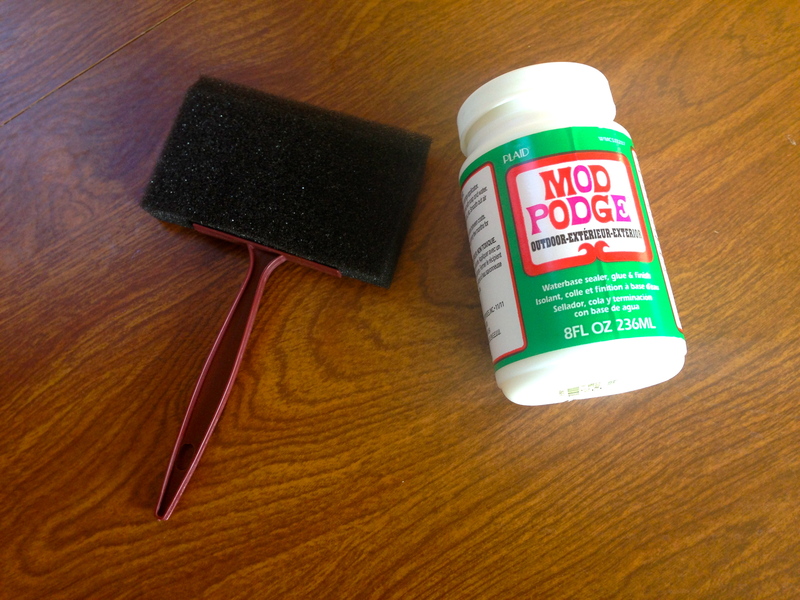 Once the mod podge dries it does not move. 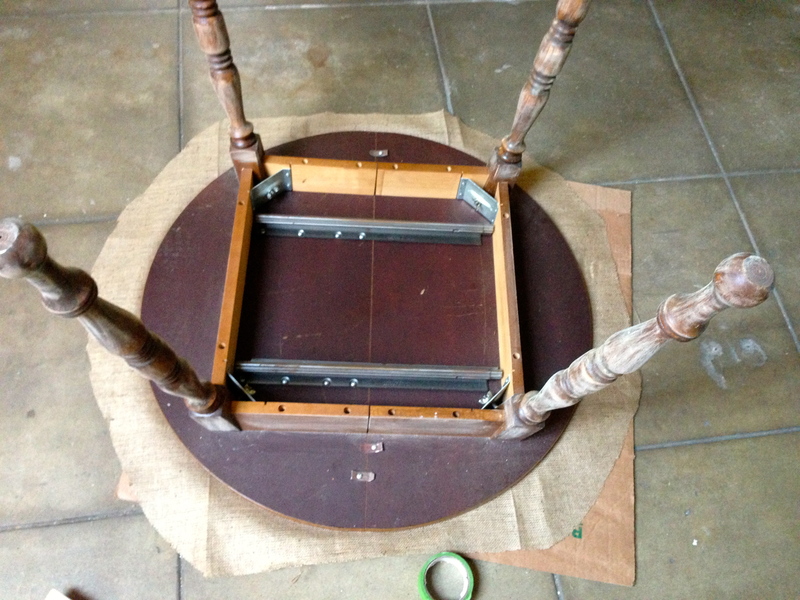 It sounds like the most difficult part of your project might be the corners. Possibly consider doing the project in stages. Stage 1: bottom, let dry. Stage 2: sides, let dry. 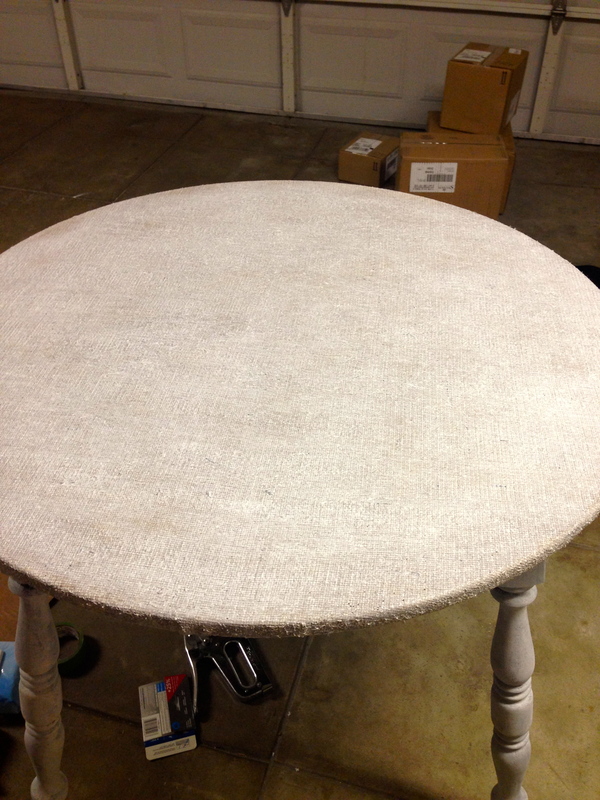 Stage 3: top coat of mod podge over the entire surface, let dry. 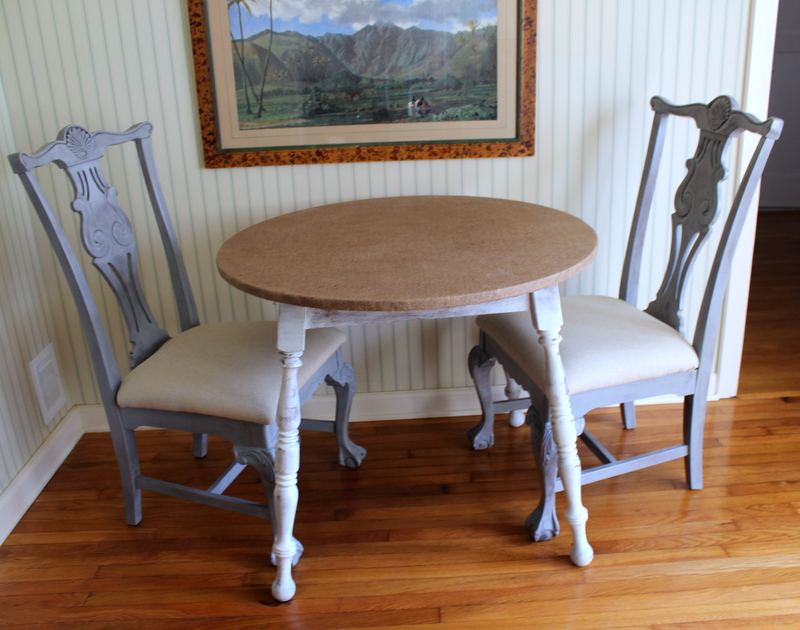 The only thing I have noticed with the burlap mod podge project is that if it gets wet it changes color and almost “undries” the mod podge so it becomes tacky. But don’t worry, it dries out again. 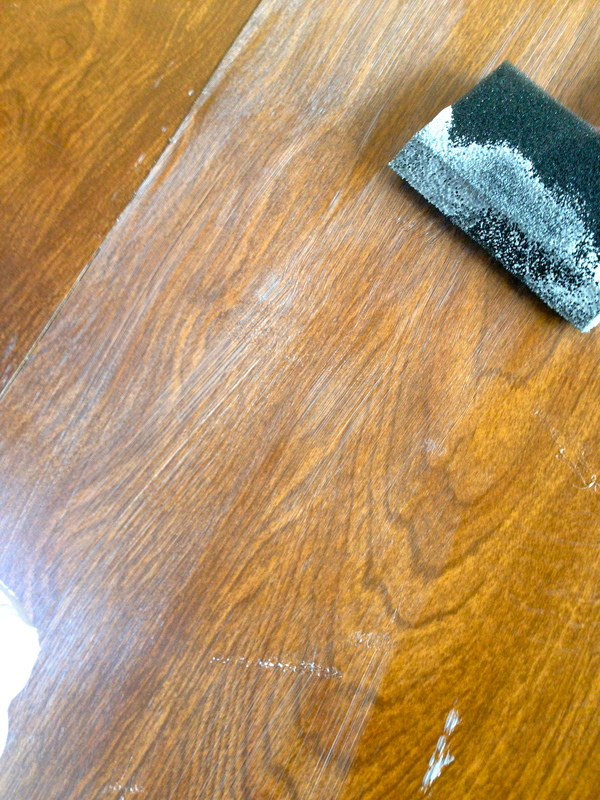 You could probably use a cheap paint brush or sponge brush to apply the top coat and then toss it…too messy to clean. Good luck with your dog bed! It sounds really cute! Thanks for the reply. I am not doing the bottom, only the sides. 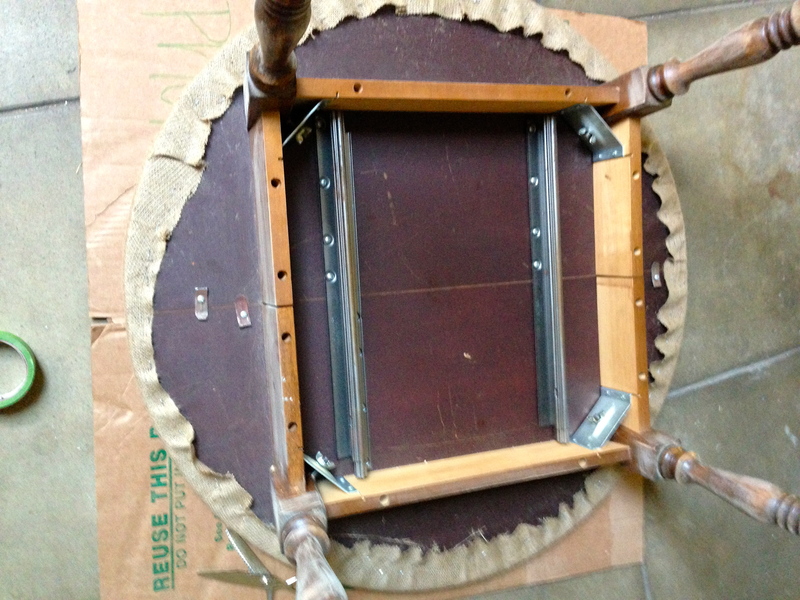 But it is an 8 sided table, the door made another two sides which I have removed. So I still have 6 sides with 5 corners to deal with. I am thinking of using my new (I love, love it) air compressed staple gun to make a few tacks into the corners in the black stripe area to hold the corner in tightly. If the staples show I can just put a dab of black paint or sharpie on. Good to know about it changing colors if it gets wet. I don’t foresee that happening with the bed, I wonder if a coat of polycrylic would seal it better than the mod podge or a coat over the mod podge? 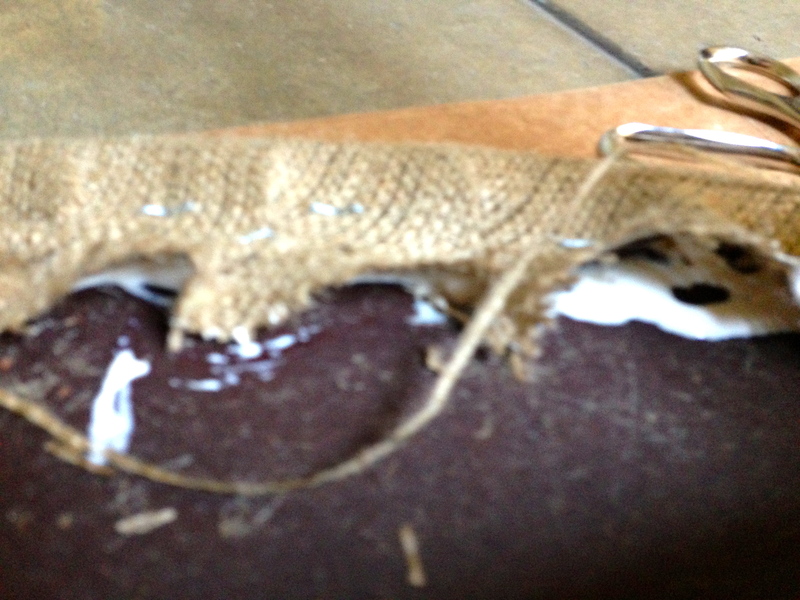 I think I will use a cheap chip brush, it seems like the burlap would rip the sponge brush to shreds. 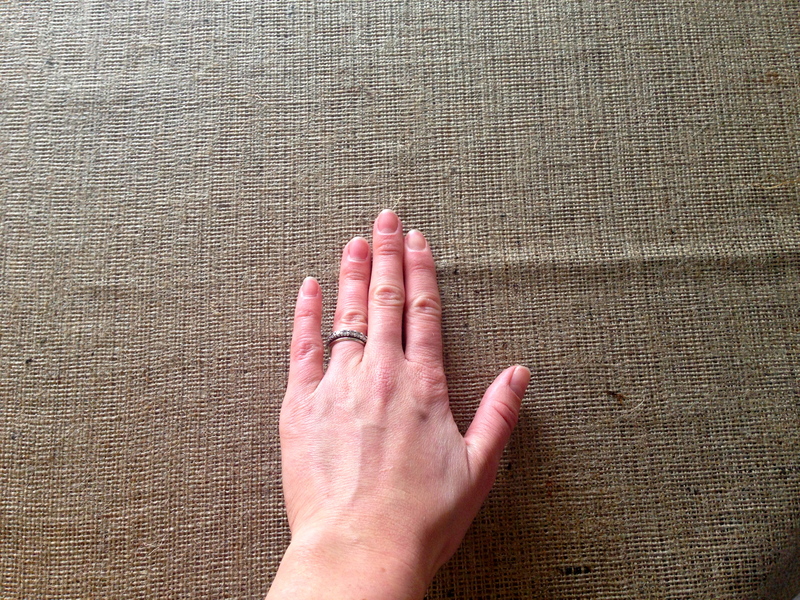 I have my burlap airing out since I bought it to get rid of some of the smell. The project is adorable in my head, hope it comes out that way. It is for a fund raiser for new dog park so I plan to sell it.